Pirate themed activities are always very popular! So this Jolly Jake’s pirate treasure rhythm game is perfect to accompany some sea shanties or a pirate jig! 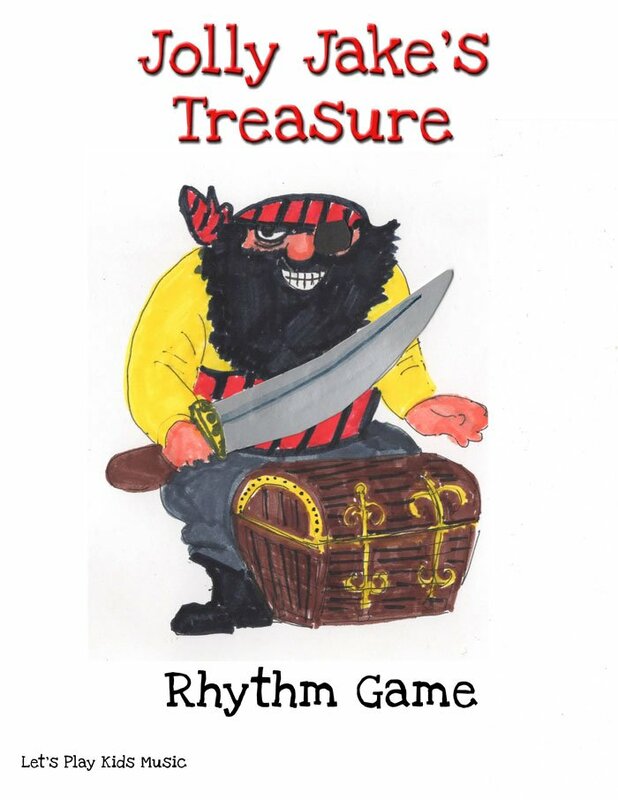 Download the Pirate treasure Rhythm game printable below. Print and stick it to a sheet of shiny, gold coloured wrapping paper. Then cut out the pretend gold rhythm coins, each with a different rhythm on the reverse side. 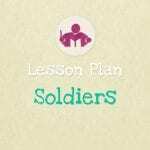 Choose rhythms which are appropriate to the age of the children. There are a mixture of abilities on the sheet below, but you could also just simplify the game by recognizing and naming just one note at a time. Once you get the idea, you may want to add some more of your own. Before starting to play the game make sure that the children are all familiar with the rhythms on the coins. First read out and clap each rhythm together. Then, sitting in a circle hand out a coin to each child. Pass some sticks around the circle and each child takes their turn to tap the rhythm on their coin. Then pass the coins to the person on the left, and repeat the process, until everyone has had a go at tapping each rhythm. And then Jolly Jake replies…. “Yes you may, but what’s the secret password? The children get very involved with the idea of asking him for permission and telling him the ‘password’ ( which is the words on the individual cards chanted in rhythm) so much so that they don’t really realise that they’re actually being tested to identify the rhythms! 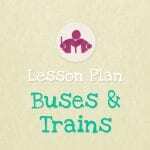 Film music is a great resource when you want to set the scene for specific themes. So take a look at my post on music for Pirates And Adventurers to get them in the mood. Dressing up and role play is wonderful for little imaginations and such a fun and easy way to spend an afternoon! And for some more piratey inspiration, check out Pirate Books & Rhymes for kids it’s guaranteed to satisfy the adventurous cravings of all those little pirates out there!